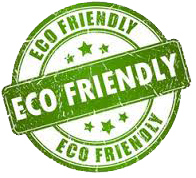 Green Earth Exterminators is proud to offer EcoSMART's complete line of interior and exterior botanical products that are extremely effective against a broad spectrum of insect pests and provide both quick knockdown and control with the same effectiveness of traditional chemicals and treatments. Unlike lesser products of the past, several of EcoSMART's botanical products provide residual protection for your home and family. 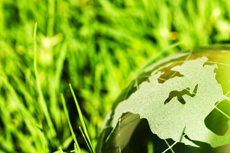 With a proven efficacy, broad spectrum activity, lowest environmental and mammalian toxicity and competitive pricing characterize all of the exclusive EcoSMART's botanical pesticide products now offered by Green Earth Exterminators Pest Control. Unlike other botanical pesticides, our active ingredients are based on distinct combinations of different plant essential oils that significantly enhance the activity of these oils against insects. Using EcoSMART's patented technology that combines plant oils with a common molecular structure that target and block a key neurotransmitter receptor site called octopamine, which is found in all invertebrates but not mammals, fish, reptiles, and birds. Because octopamine regulates an insect's heart rate, movement, behavior and metabolism, this unique mode-of-action results in a total breakdown of the insect's nervous system. 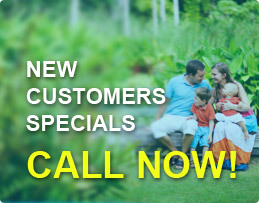 Green Earth Exterminators Pest and Lawn Services are offering a new line of green and organic products. This service will benefit your family and pets from harmful chemicals that most pest control providers use on a daily basis.